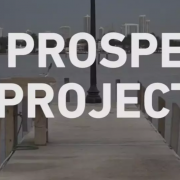 The Prosperity Project from TheNewTropic on Vimeo. Hey! Breaking news! Miami has some affordability issues. Okay, not actually breaking news. But #notfakenews either. You’ve probably seen these numbers before. 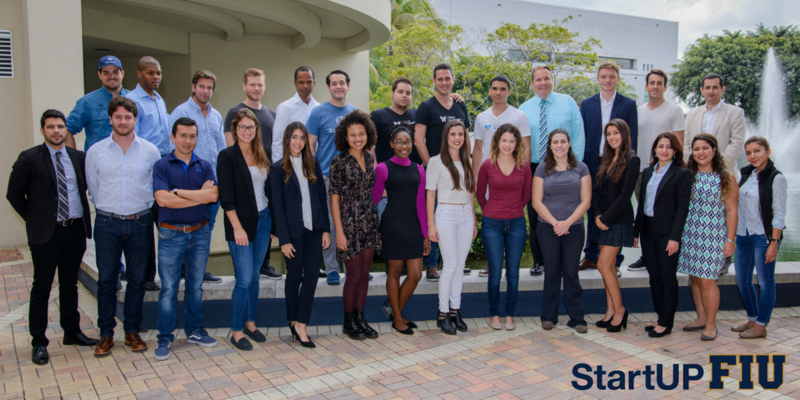 There’s a headline every week about how damn expensive it is to live in Miami, that even people with well-paying professional jobs are paycheck to paycheck; that no millennial is ever going to be able to afford to buy a house here; that our booming real estate and tech industries belie a hollow center. It means that we have a large number of neighbors who are financially precarious. A major medical expense or an unexpected job loss could wipe them out in a month. The number of people in this situation is bigger than anyone realizes. At The New Tropic, we want to make this city a better place to call home, someplace where people can afford to #livelikeyoulivehere. So does Citi’s Community Development team. So we’re teaming up to explain all this a little better, and start talking solutions through the Prosperity Project. There are some out there we haven’t heard about, and others coming down the pipe. Smart people are asking tough questions and grappling with grim realities to bring us much-needed fixes. We talked to a few of them in the video above: Miami-Dade County Commissioners Jean Monestime and Daniella Levine-Cava, who have led this conversation in local government; Gretchen Beesing, the CEO of Catalyst Miami, one of our leading anti-poverty organizations; and Emily Gresham, an assistant vice president in FIU’s office of innovation and economic development who has a passion for connecting under-resourced communities to opportunity. Local is more important than ever. So is getting to know your neighbors. It’s a rocky time right now. Addressing that starts in our backyard, with listening to each other. So, we want to start by hearing your stories. How do you make it month to month? What would happen if you had to go to the emergency room? If you had a car accident and had to pay your $500 deductible to get it fixed? Could you do it? Would you have to go without something else to do it? If that’s cool with you, we’d like to ask you a couple questions. We’re looking forward to having this conversation with you in the coming months. Drop us a line at hello@thenewtropic.com to share your thoughts. Editor’s note: The poverty rate was updated after publication. Audio EP provides music students interactive exercises to develop various music related skills essential to music production and songwriting in today’s digital age. It also connects students with music instructors through the online platform for coaching services. BECOS produces handbags, book bags, wallets and others, with recycled materials in order to create conscience within our customers. The recycled materials are from cement bags and food sacks for animals, and these bags are put together by employees with disabilities. In addition to that, 15% of annual profit will support children that have been displaced by violence. BENBO is a new interactive, simple and easy to use business networking app, where we try to simplify the user’s interaction when sharing business cards. BENBO lets you: Create and customize your very own business card, uniquely designed, in just a few seconds. Boatrax facilitates the logging experience for boat owners with a mobile app that allows them to organize their logs and share them with local service providers to purchase right-on-time services using our marketplace platform. Cargo42 is a marketplace for trucking committed to reducing idle time and capacity. We seek to provide shippers (local businesses) a more competitive rate and simplify the shipping process, while carriers (local trucking companies) enjoy an additional revenue stream and maximize the trucks productivity. Clutch Couture Bags provides a luxury handbag rental service that serves US customers via an online store. We provide a service that allows fellow fashion-lovers to experience the luxury of carrying some of the world’s most sought-after handbags, while paying a fraction of the price on a monthly basis. Retail Incubator space developed with reused shipping containers located in (Liberty City) Miami, FL. The hope is that a sustainable model can be created and deployed in similar communities throughout the U.S. Extreme Weather Experience is a one-of-a-kind concept to develop an immersive, experiential, interactive, hands-on weather education theme park attraction with entertainment, retail, restaurants, a weather forecast center and a media broadcast center. GlanceHouse allows businesses and organizations to automate the backup and archiving of video surveillance data to the Cloud. Users can store that data from 30 days to an indefinite amount of time. Mind&Melody has designed a proprietary music curriculum with three goals: to deliver live musical performances; teach music theory concepts in a simple, fun and artistic way; play sheet music and create original composition through our color-coding system. Our program is highly individualized to reach and engage different levels of dementia and musical ability. SkillCourt is an athletic training system consisting of pads built with LED lights for cue targets. The goal of the illuminated targets is to be hit with an object like a soccer ball through a timed sequence. Inside each pad are sensors that provide feedback for detailed performance which reports performance information to the SkillCourt app. Stealth Simulation by Boorpus™ LLC was born out of the need to increase the fidelity of standardized patient physical examination. We focus on technology-driven innovative solutions aimed to improve medical simulation while maintaining the highest degree of realism of virtual patient encounters. Viera Academy provides a playground e-learning platform that specializes in Standardized Tests, as well as world level Mental Math and Memory courses, developed by Guinness World Record holders. 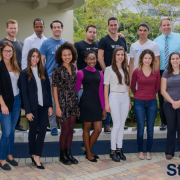 Worcket is a millennials-ready phone app and a cloud service that enterprises use to recruit University and College students or professionals for employment opportunities, in the US first and then worldwide. It leverages disruptive technologies like Video Profiles, Machine Learning, and Artificial Intelligence. We are a truly innovative Seattle based start-up, that is part of the Microsoft BizSpark incubation initiative. Our first production release will be ready in mid-December. The idea presented here is for a novel class of Nitric Oxide (NO) probes that are based on unique metal photoluminescent complexes that directly react with NO to provide highly sensitive and cost-effective detection. This novel class of probes would benefit the scientific and medical communities by advancing the understanding of NO’s biological roles and subsequent pathological conditions that arise from NO dysfunction.